Greater Fort Lauderdale is an inclusive and welcoming community with a thriving resident and tourist LGBT+ community. In June 2018, Greater Fort Lauderdale/Broward County opened the area’s first LGBT+ Visitor Center in Wilton Manors, Broward County’s gay-centric district with the destination’s largest concentration of gay residents and businesses. It is located at 2300 NE 7th Avenue in Wilton Manors. 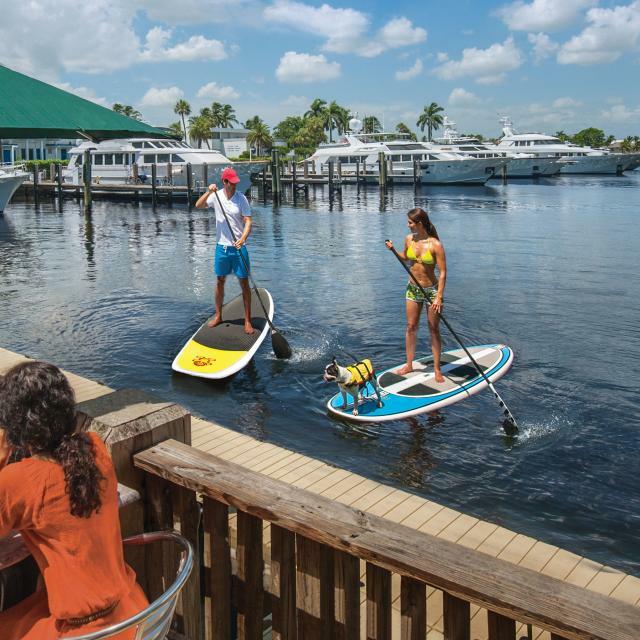 The waterfront city of Wilton Manors draws visitors and locals alike for shopping, dining, nightlife and shopping options for the gay vacationer. Greater Fort Lauderdale is also home to one of the largest Pride Centers in the country, the world&apos;s first AIDS museum, the global headquarters of the International Gay & Lesbian Travel Association, and the Stonewall Museum, one of the only permanent spaces in the U.S. devoted to exhibitions relating to LGBT+ history and culture.